It was 1965, and I was trying to find myself—not that I was ever lost—but merely confused. I wanted to do something I loved with the skills I had acquired at the ripe old age of 18. By that time, I studied ballet, tap and jazz for 15 years and performed with the USO (United Service Organization), took part in a stage production of Peter and the Wolf (I was the bird) and danced on TV. One day that year, I heard an announcement on the radio that the Philadelphia Eagles planned to hold auditions for cheerleaders. They were looking for women with dancing talent more than cheerleading skills. Thinking I just might have a chance, I drove to the Philadelphia Armory and auditioned. Bernadette Donnelly, a former New York City Rockette, and Mary Watson choreographed the routines to which we performed. Being an Eaglette was one of the best experiences of my life. It wasn’t just the camaraderie (shout out to Jean Borrell, Cheryl Gargiulo, Terri Salmond, Pat Morris and Sandy Flynn), the thrill of performing, dancing on the Mike Douglas Show, ushering at the Second Annual Quaker City Jazz Festival at the Philadelphia Spectrum or the hoards of cute guys who followed us down the street as we marched to Franklin Field that taught me about confidence, perfecting my craft or the belief that I could do anything if I tried. It was much more than that. It was the spirit of the experience—that ethereal stuff that creates pure joy. 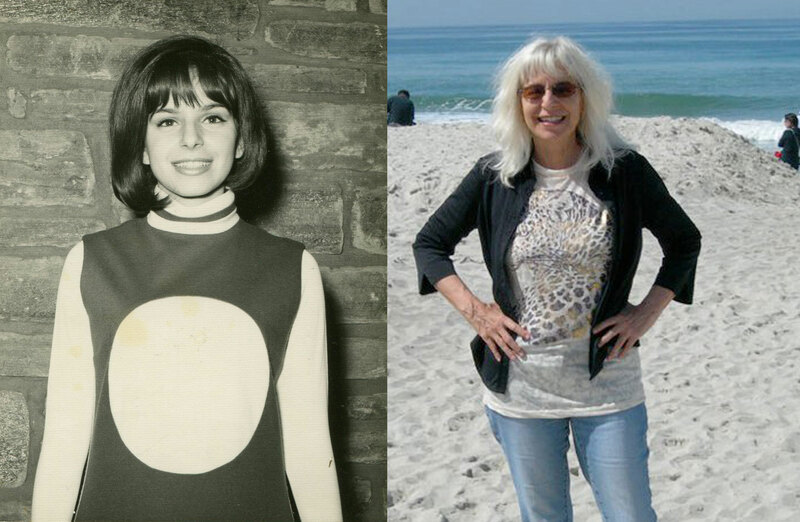 In 1968, I left Philadelphia and moved to Washington, D.C., which meant saying goodbye to my beloved Eaglettes. One year later, I headed west to San Francisco, California. I returned to college to study technical art and graphics so that I could earn a living doing the other thing I loved besides dancing—art. I landed a job at a small art studio in Mountain View, California and then worked in the video game industry where I drew dragons and other cool stuff. After the video game company went out of business, my husband and I opened an art studio that provided illustrations for high school and college textbook publishers. It was a huge success until art-based technology caused the price of hand-drawn illustrations to plummet. My family and I moved around quite a bit. In 1988, we relocated from Santa Cruz, California to Sarasota, Florida, and then in 1992 to Austin, Texas where I worked at The University of Texas at Austin (UT) as an illustrator. When our son graduated from UT in 2004, we all headed back to California. I got a job in marketing at San Diego State University where I wrote, did web design and became involved in all things hi-tech. Our son moved to Los Angeles to work in advertising. Two years ago, we left San Diego and joined our son in Los Angeles who now works for The Music Center. As my interest turned to writing, I won several writing contests, and had my stuff published here and there. I became a CNN iReporter and began doing freelance writing and illustrating for web-based and print publications. So far, no one has asked me to dance; but I do remember some of the South Rampart Street Parade and Eagles Fight Song routines from my Eaglette days. I am currently working on a project for my son’s (Monk Turner) latest record album, God Complex, which features the 12 gods of Mt. Olympus singing autobiographical tunes. This entry was posted in California, Living, Misadventure, Music, Observations, Travel and tagged Adventure, art, California, Cheerleading, Contests, Dancing, Friends, law, Living, Los Angeles, memories, New Jersey, NFL Cheerleaders, Observations, philadelphia, Philadelphia Eagles, Travel. Bookmark the permalink. Oh my goodness, you were (and still are) beautiful! And I loved reading about your life; how lucky you were to have been able to do so many things that you enjoyed. Thanks! Yes, it has been a wild ride!